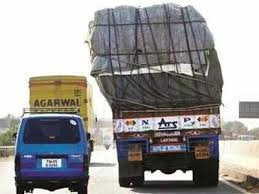 Centre has increased the maximum load carrying capacity of heavy vehicles including trucks by 20-25%. These load carrying rules were last updated in 1988. Stocks of truck makers have corrected in recent days on concerns that higher load capacity would hurt demand for new vehicles, something the government argues would not happen as the norms apply to new vehicles and not the existing fleet. Fitness certificates for trucks would now be renewed every two years. For more details we have covered a technical note in our From ASK-EHS Web section.